I’m so tidy I can’t leave the house unless the towels are all hanging on the rail at the exactly the same length. Elephants. I grew up in Africa so I was often in game parks, but with no problem. After I was married I was in a car with my husband and two women friends in a game park in Uganda, and our car was charged by an elephant. I’ve been scared of them ever since. Child-orientated, re-written many times, rhythmic, repetitive, and with emotional content. Perfectionist, perfectionist, perfectionist perfectionist, and…perfectionist. Charlotte in Charlotte’s Web because she was a good writer and a true friend. I’d like to see what the world becomes in ten years’ time. That’s not far into the future but technology changes between now and then will be both exciting and unimaginable. I always loved it, because I was a reader. Nothing made me do it, I just chose to do it. A Fine Balance, by Rohinton Mistry. It’s an extremely long, exquisitely written novel, set in India and focused on the differences between the rich and the poor. The characters are amazing. Riveting. The story is heartbreaking. I think I’d get something new from it every time I read it. I would never tire of this book! Mem Fox is one of Australia's most renowned authors and children's literacy advocates. Her first publication, Possum Magic, is the bestselling children's book in Australia and celebrated it's 30th anniversary in 2013. Other well-known titles include Where is the Green Sheep? and Time for Bed. 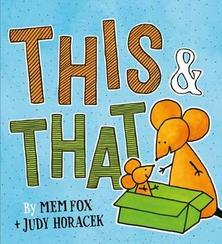 Her latest picture book, This & That, is illustrated by Judy Horacek and published by Scholastic. 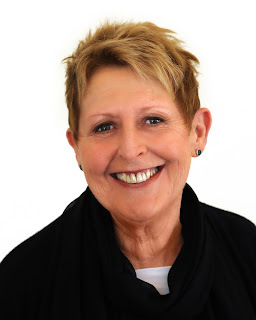 Visit Mem's website for latest information about her books and author events as well as literacy and education resources.